Are you an emerging label? Applications are now open for the 2018 intake of the Council Of Textile and Fashion's Curated program and they want to hear from you! 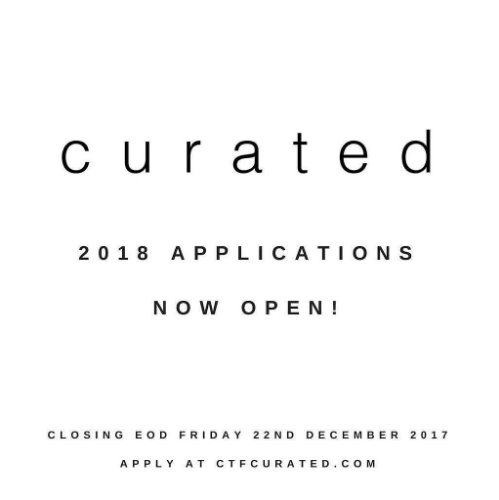 Apply NOW via their website ctfcurated.com/apply, and head to @ctf_curated on Instagram for updates!